If you are visiting Athens, you are most likely coming to see a bit of history and culture in one of the most Ancient cities in the world. While there are many, many things to do a see in Athens, the Acropolis is a must. So what’s better than having a view of it from your own loft in the middle of the city? 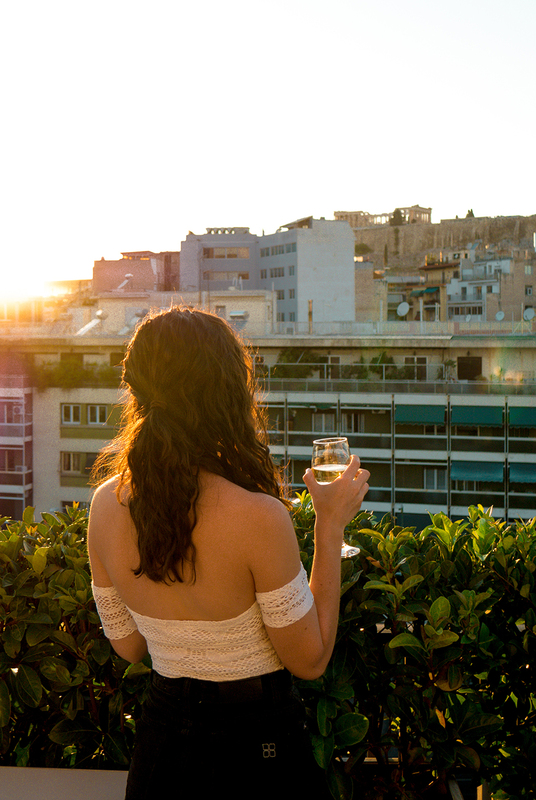 There are six of these beautiful apartments all over Athens, each with a view of the Acropolis. We stayed in Loft 02 which was only a 10 minute walk to Monesteraki: the heart of the city. Everything was so new, clean and impressively done in such a small space. While the whole place was amazing, nothing beats the balcony. It was huge! Enough to fit a dining table, benches and a couch and still have plenty of room to move. The perfect place to have a few friends over and have a few drinks before a night out in Athens or just to simply relax and take it all in. It is honestly the first time I have ever been able to relax with such an amazing view. I couldn’t recommend staying in these lofts more highly. It’s such a convenient spot especially if it is your first time in Athens. It’s more personal, private and really a breathtaking view. The manager, Konstantina was one of the nicest and most accommodating person I have ever met and I would stay there again in a heart beat!